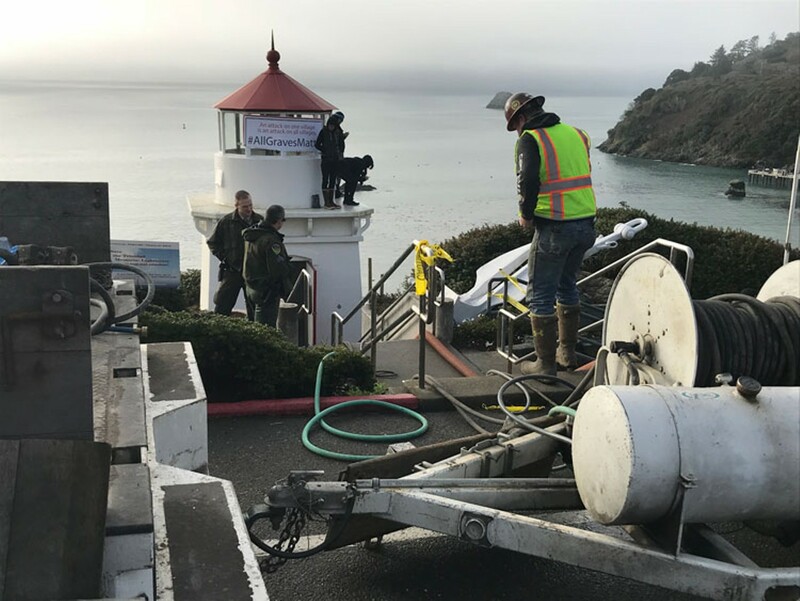 Editor's note: The following is the text of a speech given at a vigil at Tsurai and the memorial to people who lost their lives at sea, in Trinidad, California, Dec. 31, 2017, seeking to halt the relocation of the Trinidad Memorial Lighthouse. First I want to acknowledge that we are standing on land that was home from time immemorial to the people of Tsurai, and will always be their homeland and to acknowledge the many people who lost their lives at sea and are memorialized here. I also want to thank the organizers of this righteous cause for inviting me to participate in this protest. I am here not only to support your immediate demands but also to recognize the right of the lineal descendants of Tsurai to preserve and protect this site. It is the right thing to do. It benefits all of us privileged to live or visit here, this place of wondrous beauty and extraordinary tragedy. Trinidad and Humboldt County have had many opportunities to do the right thing. In the aftermath of the Gold Rush, from 1846 to 1873, a genocide took place in this region of California. Let's not mystify what took place as "manifest destiny" or as an unfortunate by-product of progress. The killing fields were everywhere, some 55 massacres taking place in Humboldt. The slaughter was deliberate and intentional. The town of Trinidad benefited commercially and economically from this genocide, grabbing land and resources, driving Indian people out. Trinidad has had many opportunities to do the right thing, as Germany has done in taking responsibility for its genocide, the Holocaust: economic compensation, a public apology, and rituals and memorials to commemorate its bloody past. Yet Trinidad has done nothing, not even tackle this bloody origins story in its history museum. The genocide did not end with cessation of warfare in the 1870s. In the aftermath, children were forcibly taken from survivors and sent to prison-like boarding schools where they were punished for "speaking Indian" or trying to preserve their cultural traditions. Young women were rounded up and sold into sexual slavery and as maids. Trinidad and Humboldt and California have had many opportunities to do the right thing, to acknowledge and make amends for this widely known practice, as Canada and Australia have done with respect to indigenous peoples. Yet they have done nothing. I'm reminded of Aaron's curse in Shakespeare's Titus Andronicus: "Even when [your] sorrows almost were forgot," I will dig up your graves and "let not your sorrow die." Trinidad and Humboldt and California have had many opportunities to do the right thing and let sorrow die, such as repatriate human remains and return artifacts, offer sites for reburials and offer financial compensation, as Germany has done for survivors of the Holocaust. Yet they have done almost nothing. Berkeley still holds 10,000 human remains, making the campus into an unsanctified cemetery. The genocide was followed by the production of cultural images that degraded and humiliated Native peoples, imagining them as a sub-human race, "predestined to extinction," making the massive violence done by human beings appear to be natural and inevitable, rather than man-made. One particularly vicious myth was that Native peoples had not resisted, that somehow they had been complicit in their own near demise. From guerilla warfare in the 19th century to political and legal strategies in the 20th century, to this gathering here today, there has always been resistance. Robert Spott spoke out against theft of lands in the 1920s. Hupa and Yurok organizations in 1931, according to a government official, made "vigorous complaints against excavation of Indian burying grounds along the coast." When Alice Spott, Minnie Shaffer and Olive Frank — tough young Native activists, the predecessors of the young women leading us today — in the late 1940s discovered Berkeley anthropologists here, on this very spot, digging up graves, pretending to be only interested in middens (garbage trenches), the women gave them hell. They voiced their complaints throughout the county, forced a suspension of the dig and generated a public meeting at Trinidad Town Hall some 68 years ago. For a while, the looters and scientists backed off, but they soon were back to work, digging in Sumeg (now Patrick's Point) and O-puyweg and other sites at Big Lagoon where there were less folks to keep an eye on them. Trinidad and other towns did nothing to stop looting in the '40s, '50s and '60s. 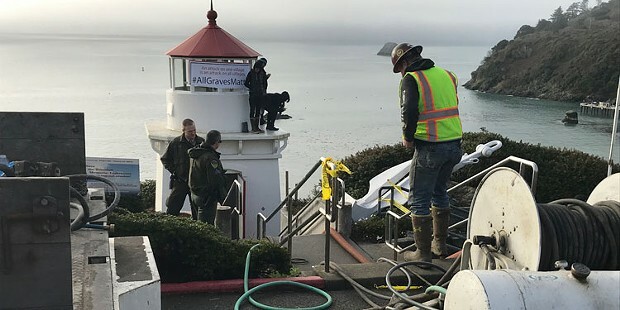 It took Milton Marks, Margaret Marks Lara, Walt Lara Sr., Joy Sundberg and other leaders of the Northwest Indian Cemetery Protection Association, founded in Humboldt in 1970, to raise hell once again, and literally run archaeologists off Native sites, while Trinidad and other towns looked away, evading their responsibility. Doing justice to the past is hard and messy work, requiring the stamina of a long-distance runner. It means speaking the unspeakable, making human-made tragedies a matter of public recognition, creating histories that speak to all the diverse populations of the region, and recognizing that the United States is not exceptional but one among many nations, that we too — just like a Germany, a Rwanda, a Cambodia — need to come to terms with our sorrowful past. Now here we are again, another struggle on a long journey, organizing and creating pressure from the grassroots to make Trinidad do the right thing: Listen to and respect the wishes of the descendants of the people who lived in Tsurai long before there was a Trinidad, and acknowledge the atrocities of the past that bleed into the present. For starters and as a sign of good faith, Trinidad should halt removal of the lighthouse until a solution is found that satisfies all Native voices. It's time for another town hall meeting. It's time for Trinidad to, finally, do the right thing. Tony Platt is a Distinguished Affiliated Scholar at University of California Berkeley's Center for The Study of Law & Society, and the author of Grave Matters: Excavating California's Buried Past (Heyday, 2011).